Single Tenant NNN, Retail, Multi-Family, Commercial Land, M.H. Parks, Public Self Storage Facilities. "Through my national database access as well as relationships I have with most major commercial companies, I am able to expose SELLERS to the largest qualified buyer pool out there. I also have access to MANY unlisted properties, so BUYERS will want to come to me to access as many potential Income producing properties as possible. My strong relationships and market knowledge will help you get what you want in a timely manner." Lori handles day to day operations regarding both Commercial and Residential divisions. She represents both buyers and sellers in their real estate transactions. She was the 2016 Chairman for the Orlando Regional Commercial Council. "I am passionate about making sure every client receives the highest quality service possible. I treat everyone as I would like to be treated." Priti specializes in Residential Real Estate. She works with both buyers and sellers in helping them handle their real estate needs. 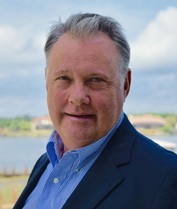 Robert is a Licensed Broker with 29 years of Commercial and Residential Real Estate experience. He has won many awards including the 10 year top producer in the MAME Awards, HBA Mid Florida Sales and Marketing Council Major Achievement Award plus several outstanding dedication and service awards. Robert has an extensive 18 year background in the homebuilding industry and was a Regional V.P. of Operations for Tousa Homes USA, specializing in top to bottom subdivision management and a leader in new home development, sales and construction. He is a State Certified Contractor, Home Inspector, Mold Assessor and Remediator, and prior to joining the Gagnon team, owned and operated a general contracting company. ​Born in Egypt, Ahmed worked in Pharmaceutical Sales and Marketing for 14 years. He has an MBA from the University of Wales. He relocated to the United States to focus on Business Brokerage and Commercial Real Estate. Ahmed has a vast amount of contacts globally, with a majority of his clients residing in Saudi Arabia, Egypt and the U.S. He also owns Emy's Vacations, which he uses to provide clients travel to the U.S. for Investment and Education (while assisting clients with securing F-1, L-1 and E-2 Visas).